This book is very interesting and easy to read. It is a book for both laymen and leaders. It gives you knowledge and wisdom. Many people may have heard of the name Nelson Mandela and known that he is a great man in history but may not know what exactly he has done and what kind of person and leader he has been. To read his autobiography, well, should be good but if no time to read a thick, thick book, you can choose this book as a starting point. This book should be the right one. It can at least fulfill some of the curiosity about Nelson Mandela. More than that, it inspires people how to live and lead! The book is written by Richard Stengel who originally was an editor of the Time magazine. As he collaborated with the late Mandela on his autobiography and travelled with him everywhere for three years, Richard has become a cherished friend and colleague of Mandela. This book is a distillation of their long-hours conversation. Richard recounts the moments with ‘the grandfather of South Africa’ and shares the wisdom he learned from Mandela. The whole book is divided into 15 chapters in which 15 essential life lessons are drawn. Some are about personal qualities as a human being while some are about leadership. Through the book, one can know more about the key events of Mandela in his life including his childhood, his legal studies in the university, his 27 years-long imprisonment, the negotiation with the government to end the Apartheid (racial discrimination policy of the White against the Black in S. Africa), his presidency in South Africa in 1994 and leaving of the office after one term in 1999 at the age of 80. From the perspective and interpretation of the author Richard Stengel, Mandela is presented as a more complex person. A more-dimensional understanding of Mandela is really amusing. It lets me know that he is far from a saint but he is a true hero. Among the 15 essential life lessons, several are very impressive to me. First, most people would say that Nelson Mandela personifies courage. Yet, he himself defined courage in a curious way. He does not see it as in-born. He sees courage as the way we choose to be. He admits he has been afraid in many times. But in each stance, he is simply unwilling to let anyone see that he might be afraid. “I pretend to be brave”. Courage is not the absence of fear but not letting fear defeat you. According to him, pretend to be brave and you not only become brave, you are brave! Third, about human nature, Mandela chooses to see the good side in others. Also, he did not see the world in black and white. When Richard Stengel posed questions to Mandela in that way, e.g. was something this way or that way? Was the reason A or B? Mandela ‘s answer is almost always both. ‘It is never as simple as yes or no. There are no simple answers to most difficult questions. All explanation may be true. Every problem has many causes, not just one’. That’s the way Nelson Mandela sees the world. 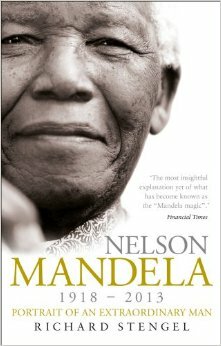 The last one about Mandela mentioned in the book surprises me is that in his life, he has often changed his mind when circumstances change. Before 1961, he followed and embraced non-violence as part of the freedom struggle. But in 1961, he changed and abandoned non-violence. Then when he was emerged from prison in 1990’s, he made peace and negotiated with black and white chiefs. “It is a question of the conditions which prevail, whether you have to use peaceful or violent methods’. But is he a man of principle? YES! Absolutely! He has exactly one core principle: Equal rights for all, regardless of race, class or gender. Everything else then is a tactic. So, he is not indecisive. Conditions plus principles determine strategy. Well, the book has also touched on other issues such as his attitude towards image-building, his view towards family and his perception of hero. As the author of the book writes, ‘we long for HEROS but have too few. Nelson Mandela is perhaps the last pure hero on the planet’. I am sure the readers would find the book inspiring and the issues raised are all worth thinking and rethinking. So, I highly recommend the book to all of you.